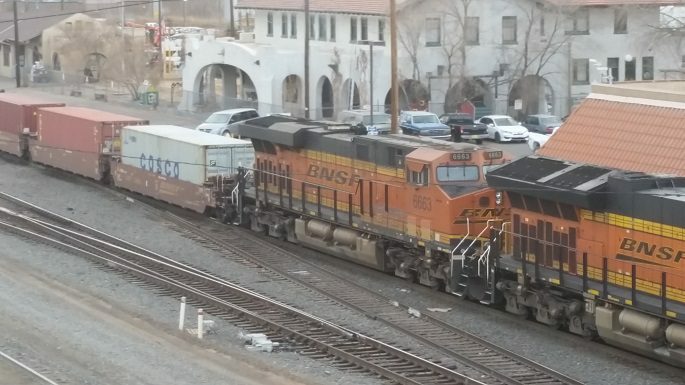 As I waited for the RailRunner (New Mexico commuter train) to leave Belen, I watched the freight yard next to me. There were quite a few trains backed up, much more than normal. I don’t know the reason, but normally, there is not more than a train or two sitting on the north side of the road bridge. Most of them are moving. Today, there were several, and they were sitting still. The lighting was all wrong and I had too many reflections on the train window glass as well. 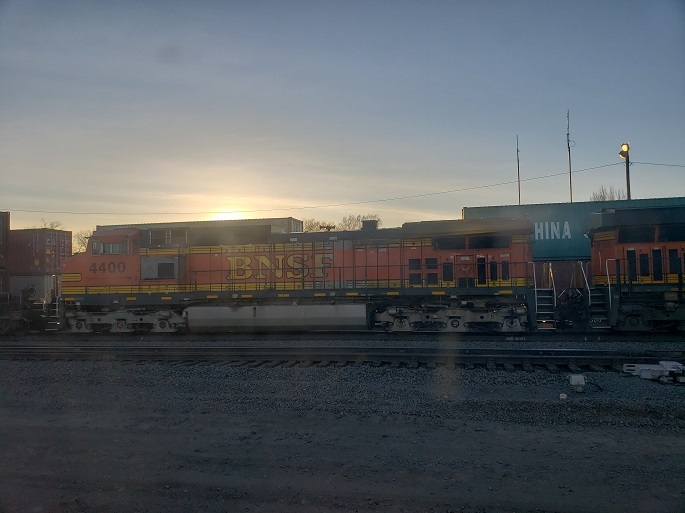 I typically have time in the afternoon to sit and watch trains, but the sun is behind them, making for saturated photos. This link says more about it, though not much has been discovered at the time of this article. 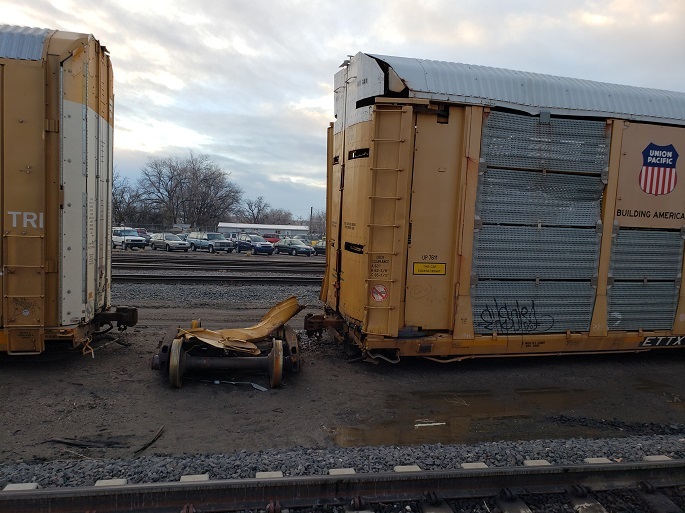 Two people were injured, but have since been released from the hospital. 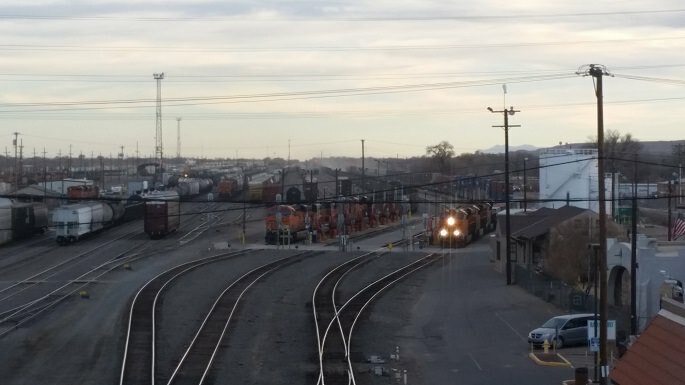 This yard has several remote locomotives, but this appears to be between two manually operated trains and not the remote yard locomotives. I will wait to see if there is ever a formal investigation posted online before I know for sure what happened. On Tuesday afternoons, I end up walking through Belen from the St. Mary’s Catholic School to the NM Railrunner station. 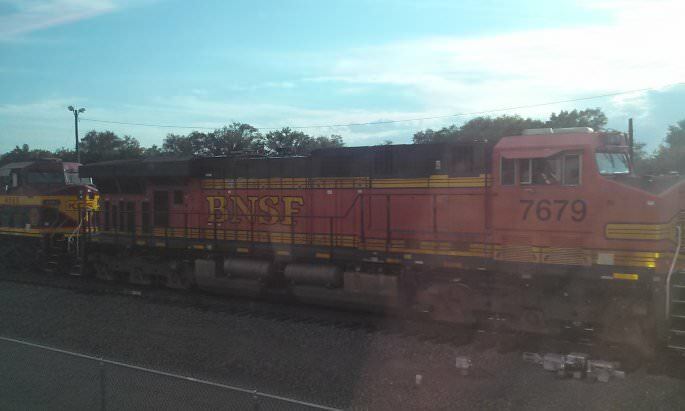 In doing so, I cross over the BNSF railyard bridge. 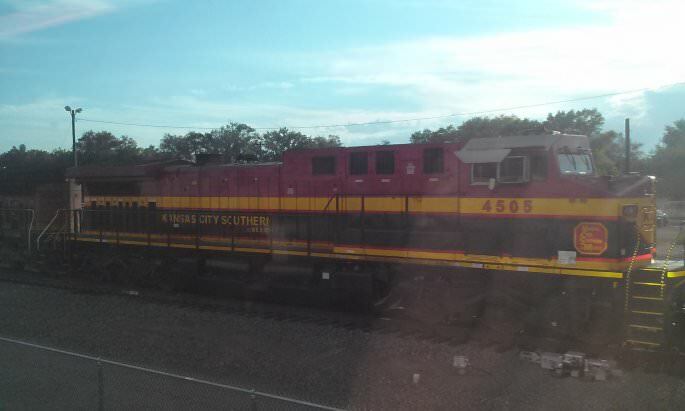 This time, I walked down the southern side of the bridge, which overlooks the larger part of the switching yard. As I mentioned in last week’s post, watching the trains is always fun for me. I would say it is part of the reason I became interested in Industrial Archeology. 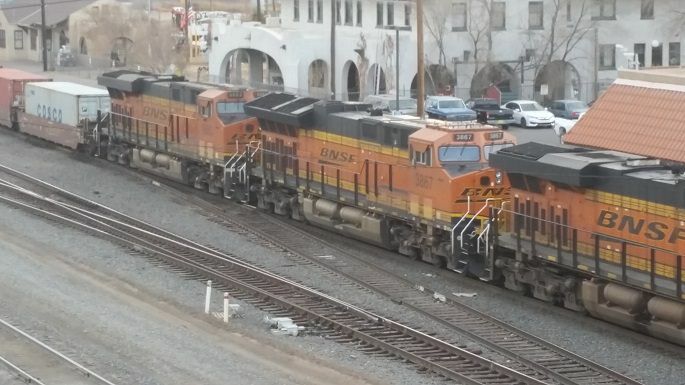 I was interested in trains as a kid, and would count the number of cars on each one I saw. It fascinated me that there were so many specialty cars for specific purposes. 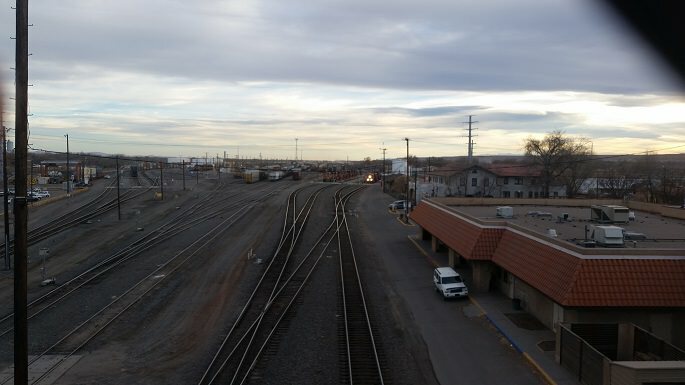 Earlier this week, I had the opportunity to walk along the bridge over the Belen Railyard in New Mexico. This is a BNSF hub, and it is quite an impressive place. I’ve been here many times, but never had I walked across the bridge. This particular day, there were no trains during my brief stay there. 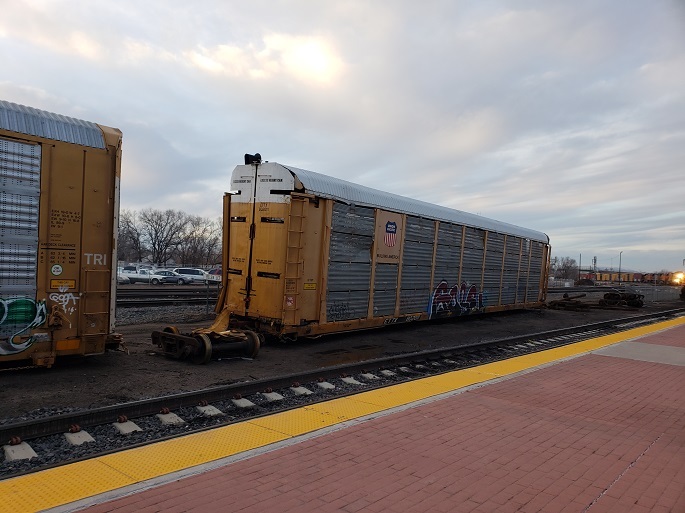 Well, no trains, except the commuter train that I boarded to head back to Albuquerque. The Belen Railyard has always been a neat place to me, personally. When JoAnna and I first started dating, we’d go watch trains in Socorro together and walk along the tracks. That’s not really allowed anymore, but we did it back then. We also used to stop in Belen and watch the (much more frequent) trains in Belen. I once heard that the line through Socorro was a six train a day line. The Belen station was 90 trains a day. I don’t know if that’s true or not, but one of the railroad employees told us that, back in 2006 or so. I will take some more photos of this yard. I just snapped this one with my cell phone. 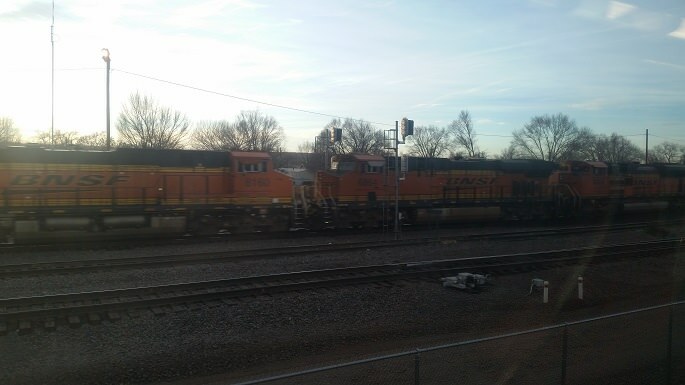 This isn’t the yard, but rather some of the switching complex before entering the yard. It branches off into many more tracks on the other side of the bridge, but, when I was there, that was looking directly into the sun. 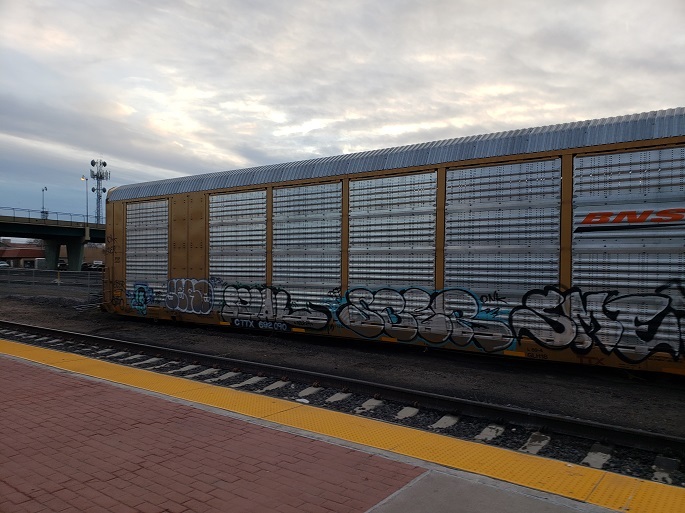 The rail to the right that is separate from the rest of the line is the NM Railrunner, the commuter line that I take back to Albuquerque. April 11 was not quite as busy as other afternoons I’d spend in Belen. 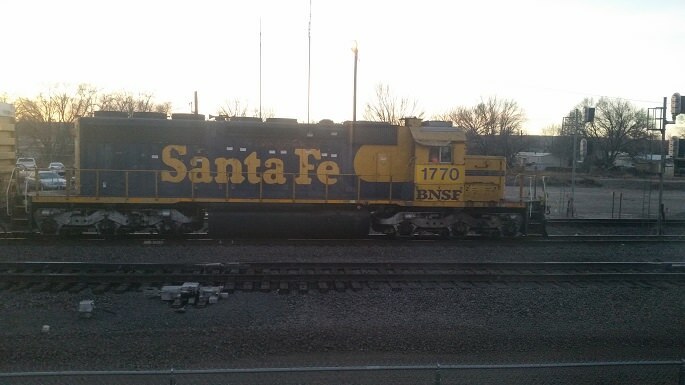 I only managed to see a few trains before the NM RailRunner arrived to transport me to Albuquerque. 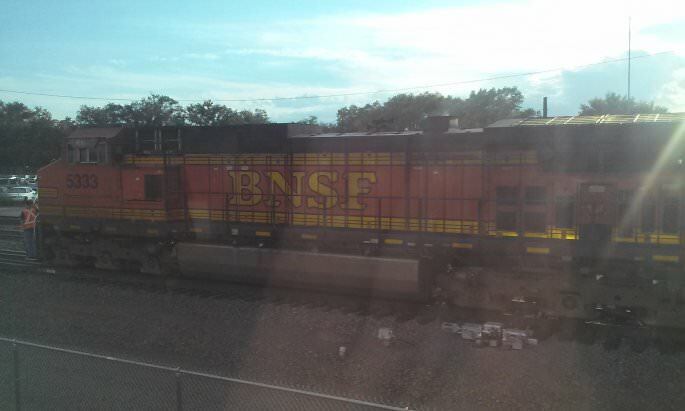 There are always BNSF locomotives about the yard. Thank you for viewing my low-res images! 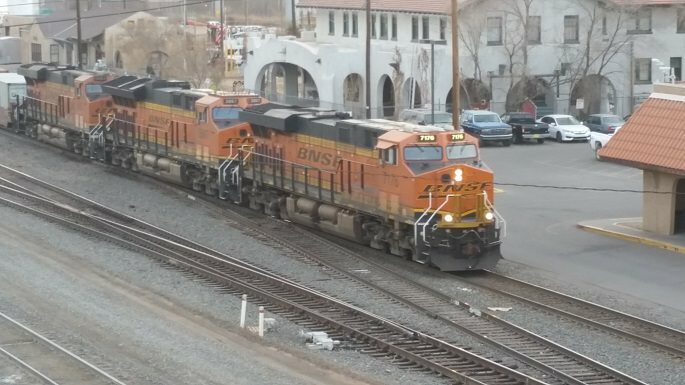 I took a few photos of the locomotives coming into the Belen Railyard yesterday while I waited for the NM Railrunner commuter train. 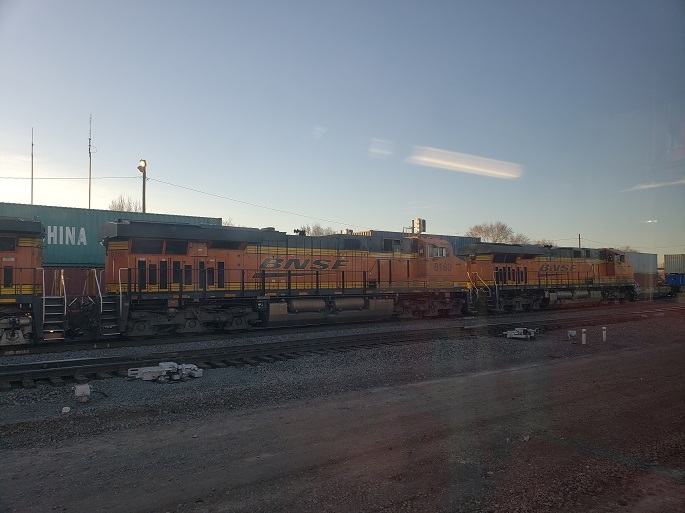 I saw BNSF 38383, BNSF 4112, BNSF 6607, BNSF 8071 and UP 3826.